The former Fed chief and other gurus want to streamline U.S. financial-sector rulemaking and supervision, including merging the SEC and the CFTC. It’s business left unfinished by the Dodd-Frank Act of 2010. But there are long-standing political obstacles – and dangers, too. 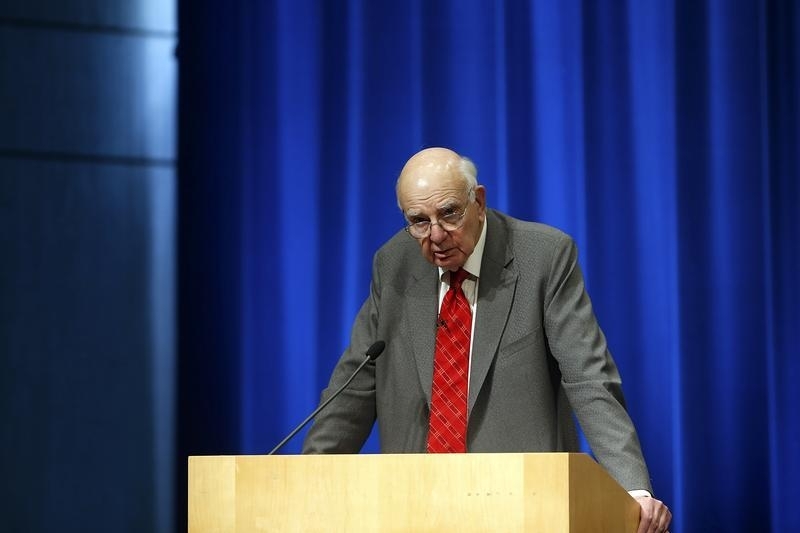 The Volcker Alliance, a group of former regulators and financial sector leaders, on April 20 published a plan to simplify the U.S. financial watchdog structure. The proposal was unveiled on April 20 by the group’s chairman, former Federal Reserve boss Paul Volcker, at the National Press Club in Washington. The group is concerned that regulatory gaps and the potential for turf wars persist despite steps taken in the 2010 Dodd-Frank Act to restructure the supervisory framework. The recommendations include creating a new Prudential Supervisory Authority charged with financial sector oversight, removing that responsibility from the Fed while leaving the central bank in charge of financial stability at a higher level. The Office of the Comptroller of the Currency would be shuttered, reducing the number of agencies involved in regulation. The group also proposes merging the Commodity Futures Trading Commission and the Securities and Exchange Commission into a new agency tasked with investor protection and capital markets conduct regulation.